You will need to bring your texture image into the project window by dragging and dropping it in from where you have it saved. For my t-shirt, I am going to change the texture image from Sprite to Texture under the Texture Type subheader. 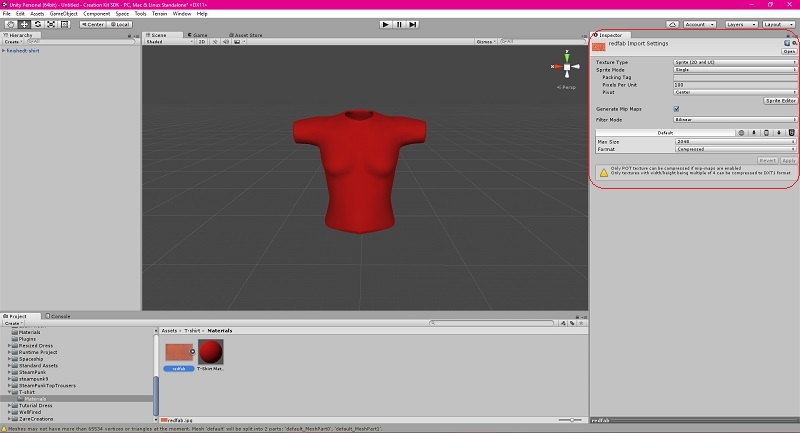 I am also changing the Wrap type to Repeat so the texture is seamless all the way around the t-shirt. If you are adding normal maps to your item, you can change the normal map image to a normal map texture the same way, just choose Normal Map under the texture type. Under the texture settings, you will find Tiling. This will adjust the size of the texture on your item. You can set these to whatever suits you. This will offset the texture to the left or to the right of the centre of your item. 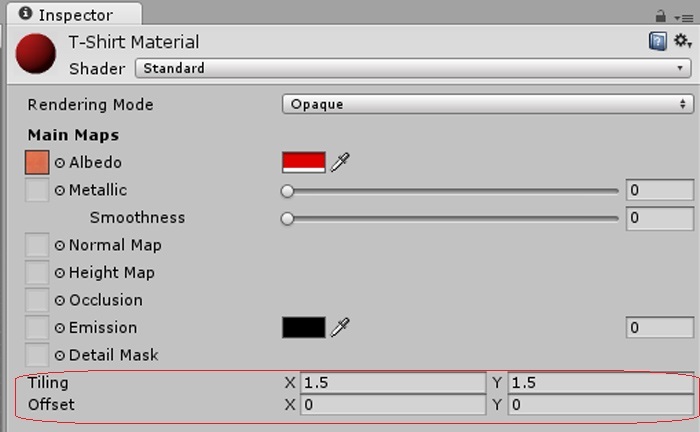 Apply the texture setting you want and click on your main material. 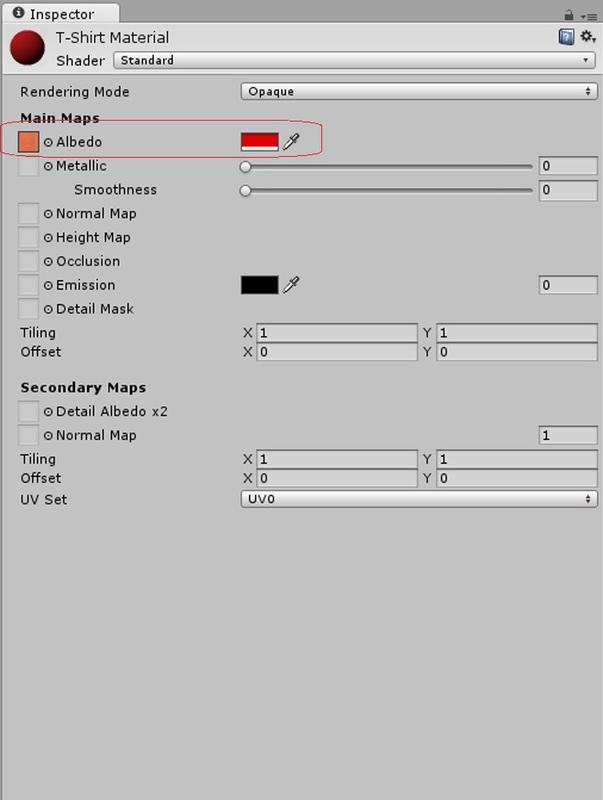 Drag and drop the texture image into the box next to Albedo. Now it should show the main colour you picked for the item, and the texture in the box. Now you can see your texture on the item in the scene and make changes to the above settings to suit you.